You'll be joining as part of the foundational team of a profitable proven startup, doubling seven-figure revenue year over year, that is led by experienced entrepreneurs. In addition, you will be integrated into our community of subject matter experts include the leaders behind building companies like Slack, Pinterest, CreditKarma, ClassPass, ipsy, Eventbrite, SurveyMonkey, Thumbtack, and more. 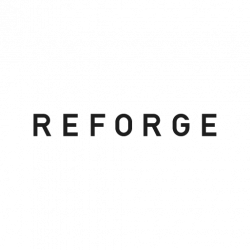 Reforge was founded by Brian Balfour (former VP Growth @ HubSpot, 3X venture-backed founder) and includes key advisors (Andrew Chen, Managing Partner @ Andreesen Horowitz, former growth @ Uber) and Russell Glass (Former founder/CEO Bizo - acquired by LinkedIn). We are based in San Francisco, but welcome remote team members based in the US. We offer competitive salary, benefits, flexible vacation, continuing education support and more. Be At The Center of Influence - Your work will be at the center of the product experience, rather than a sideshow. You'll have an influence on the direction of the product experience and directly own customer feedback goals. Collaborate with a cross-functional team of research lead, content designers and others to develop world-class content on frontier topics for Reforge programs. Own gathering, synthesizing and prioritizing customer feedback on course content for your team. You will analyze content engagement data for your programs to make data-informed decisions. Flexible/Distributed Work Environment - Everyone does their best work in different environments. We operate as a distributed-first team and offer financial support that enables you to create the schedule and environment that fits you. We offer financial support in creating this environment. Benefits - We offer top-rated health, vision, and dental insurance. We cover 100% of monthly premiums for employees and 70% for dependents. Salary + Equity - We offer a highly competitive salary and equity inline with top tier technology companies. Reforge is unlocking and spreading the knowledge of the world's leading business experts.